YouTuber and social media manger for AMPLIFY, Australia's first touring YouTuber event. 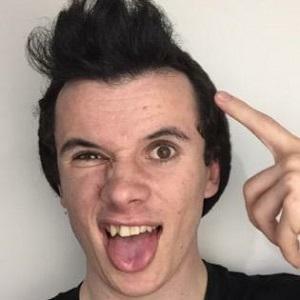 He is based in Sydney and is a prominent figure in the New Zealand and Australian YouTube communities. He began his YouTube career at the age of 14 and mainly uploads vlogs and travel videos to his channel TheRyanLamont. He created and managed social media accounts for the New Zealand and Australian YouTube communities, which shared local creators, events, tips & resources. He also attended South Seas Film and Television School, and worked in Costume and Art Department after graduating. He came out as gay to his YouTube audience in October of 2014; his video was extremely well-received. He is also a huge Disney fan. He was born in London, England and relocated to New Zealand when he was 12 years old. He then left home and moved to Australia at the age of 21. He grew up with a brother. He is friends with fellow YouTubers Andrea Russett, Jamie Curry, Troye Sivan and Tyde Levi. He toured Australia with them in April of 2015 with the AMPLIFY festival.